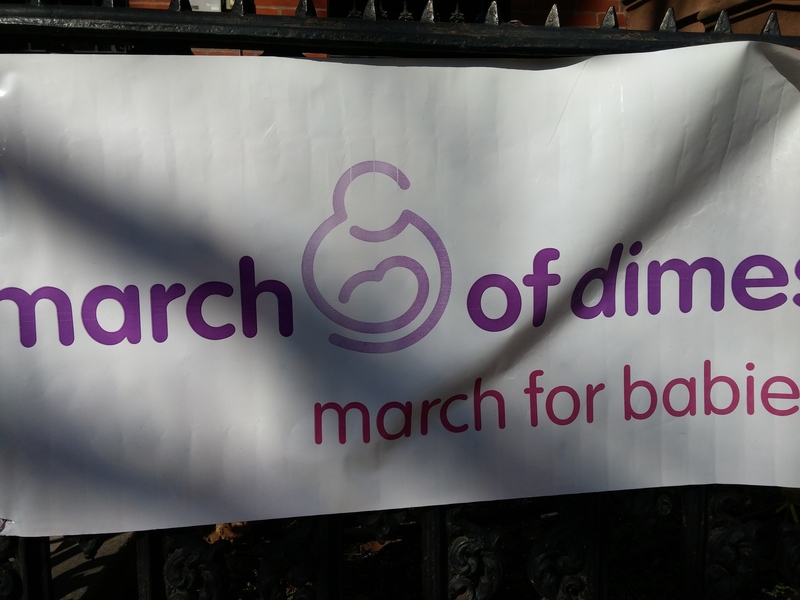 The March for Babies banner hangs outside our house along the fence every year during this time. I decorate it and always write our family team name so everyone can donate to Gio and Isa’s Miracles. It’s been raining on and off here so the decorations and my writing washed away. The banner is still holding up along with the March for Babies logo but not what I wrote. Now Gio saw it the other day and in a voice of panic turned to me and said, mommy it doesn’t say donate and help Gio and Isa’s Miracles. Our team information is gone. They won’t know to help us. You need to write it again. This kid has a heart of gold. He is so truly concerned that no one will know about their walk and team. I just hugged him, smiled and said, don’t you worry they know. Mommy makes sure to let everyone know as much as possible. He then hugged Isannah and said mommy is helping us. We are ok. It was a beautiful evening in BK so the kids and I decided to walk around. Asher joined so we could all go out to eat. When dinner was about over I took Giovanni to the bathroom. 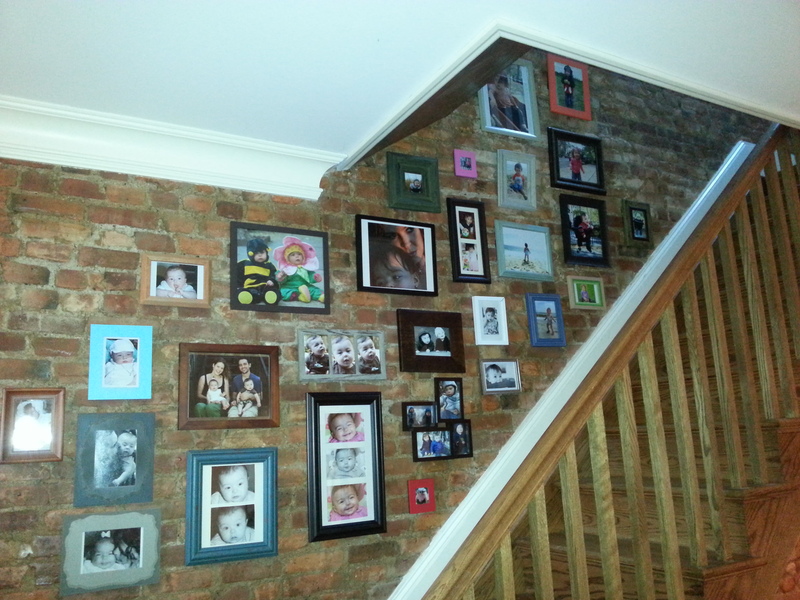 In the bathroom hung a 20×24 (around that size) photo of a naked boy. All you could see was his back side. He was standing as if he was peeing. You couldn’t see his face at all just the back side. Giovanni flushes and looks up to see this photo. He did a double take and with the most serious face asked me if that was him. Looked at it again and then back at me and questioned me one more time while adding, you know that’s me. Why did you give them my picture. I just about peed myself. I had to look at it again and then understood how he could think that. As I reassured him it was not him and mommy would never do that to him. He hugged me and said that’s ok mommy, I’m not mad. I couldn’t hold it any more. I had to chuckle a bit out loud. Family, Life and Love. Three powerful words, amazingly beautiful together but scary and horrifying as well. We all have this beautiful vision of what family is. Either we are born into the family that everyone wants or a family that needs a lot of stitching, bandages and healing time. Family is what it is. It’s not always about love but when it comes down to it…it should be. The individuals that make up a family are grown with love. Life is as it sounds. It’s waking up everyday living, breathing and being. We all have family issues, hiccups and heartaches but we also have happiness, cheek aching laughter and tender embraces of hope filled dreams. Love always tries to be the stronger word. It sees the good in all the bad. The hope in all of the sadness, pain and fear and the faith that things can always be better than what we allow. Sadly, the fights, the tears and fear cause the family side to override the love that is desperately trying to blanket all our hearts. See no matter how much you love. How much you miss someone. No matter how much you wish you were able to get past all the pain and heartache that someone(s) in your family has caused there’s always that thin needle piercing your love filled heart crippling it for even longer. Causing the healing to be delayed and/or put off until closure is presented in some way. You try to find that closure on your own but sometimes all that’s needed is to face it. To confront the person(s) so that together you can find closure and therefore move on. In some cases moving on is forced and problems, misdoings, misunderstandings get swept away for the moment until all the dust that lies beneath collects and the inevitable explosions erupt. This is when you relive the pain and then it intensifies in a way that there is no turning back. You become lost and forgiving is a word in the far unattainable distance. Before we let it get that far. Before the family bond breaks apart piece by piece. Family member by family member until there’s no family at all. Just a tree made up of frail lifeless dead branches we should try to let love fill that pain first. Inside we all want that tree to be alive and thriving. To stretch towards the sun and fill with arms (branches) that hug, and hold life and love in. Even if we don’t want to admit it we wish for our tree to be filled with love of branches. Leaves of hope, the strength of family and life from the foundation that brings it all together.